How to Boost Your Serotonin Levels! Serotonin is often called the “happiness hormone.” And for good reason! Not only does this incredibly important neurotransmitter (aka ‘brain chemical’) impact our mood and depression risk, but it’s also the precursor to melatonin (the neurotransmitter that helps us sleep), it strengthens our blood vessels, it impacts the way in which we experience and interpret the world, it influences sexual desire, and it helps move food along the GI tract. So it’s pretty darn important as you can see! Of course of prime interest to me (and many of YOU) – specific to fertility, serotonin is important in maintaining our levels of relaxation and joy. 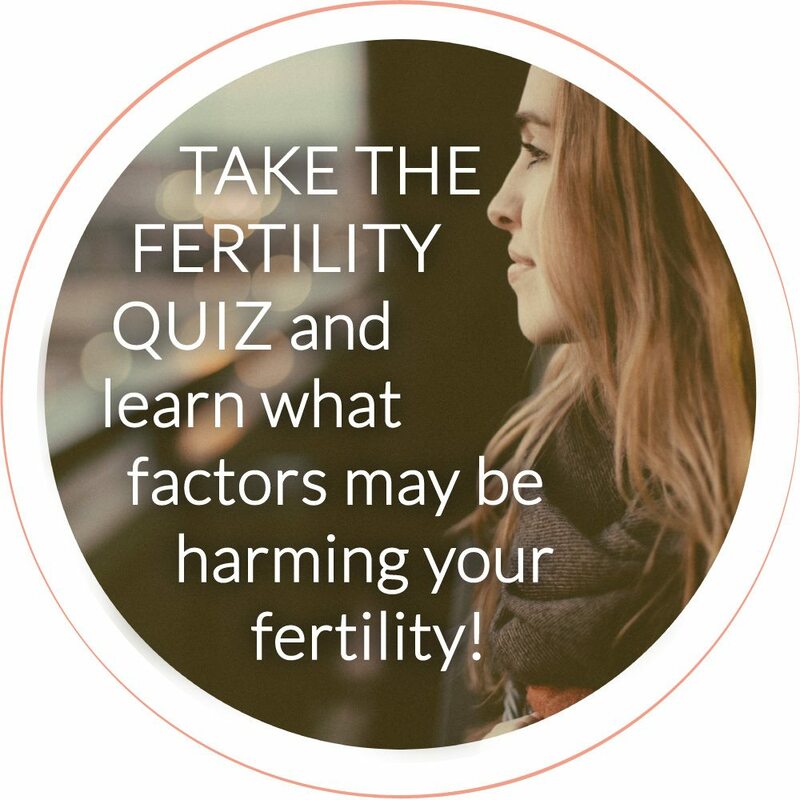 When we’re trying to conceive, the ups and downs of the fertility journey can cause major stress on our internal systems resulting in a dramatic hormone imbalance – which is one way to wreak havoc on our bodies and brains in addition to decreasing our chances of getting pregnant. Not good. 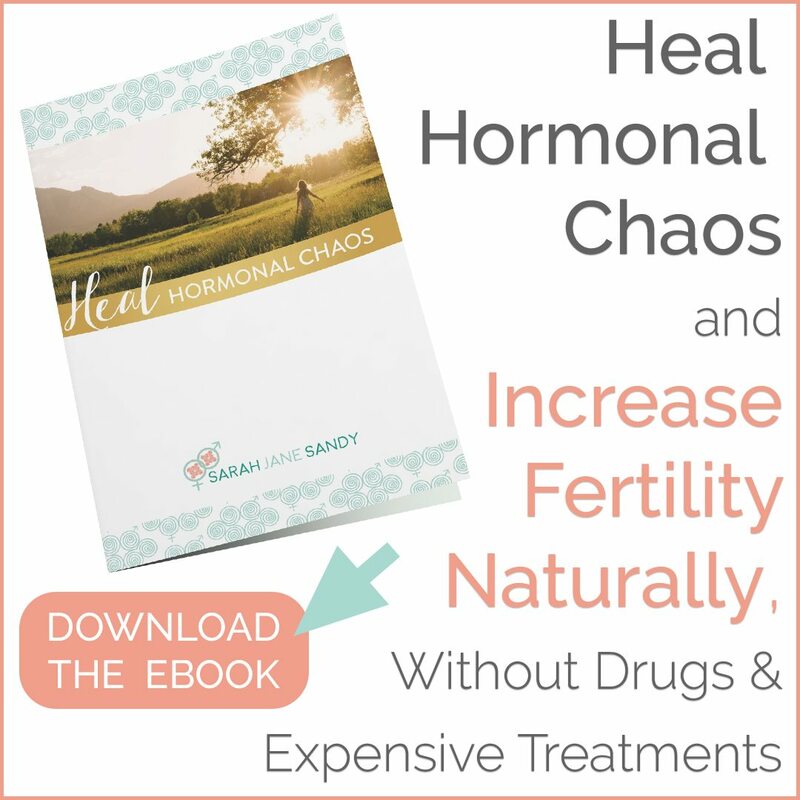 A hormonal imbalance can create even more stress, and we can easily start on a consistent downward spiral. Something we definitely want to avoid whenever possible. As pregnancy is more likely to be triggered by joy, boosting the amount of serotonin naturally synthesized by our bodies and brains can definitely help us to become more fertile and, in turn, more likely to conceive and give birth to a happy and healthy baby. A simpler journey to pregnancy, followed by a healthier pregnancy, and easier birth experience is the journey that we all desire. And maintaining naturally high serotonin levels is one of the primary ways that we can get there. With serotonin being integral to leading a healthy, happy life, no matter what stage you’re at in your fertility/pregnancy/hormone journey, let’s explore some ways that we can naturally boost the serotonin levels in our brains and guts! Bright sunlight is a direct trigger for serotonin production. This doesn’t mean that you need to be outside 24/7 to get the benefits of sunlight, but rather that we should focus on getting at least 15-30 minutes of natural sunlight per day, unless suggested otherwise by a doctor. Researchers have found that consistent, regular exercise increases serotonin production in two very distinct ways. One is that exercise increases the activation of motor neurons, which in turn activates serotonin neurons. This boosts the synthesis and release of serotonin in our brains. The second is that exercise elevates the level of tryptophan in the brain, which is an amino acid that later converts into serotonin, thus increasing serotonin production. If you are in a time of your fertility/pregnancy journey when only gentle exercise is an option, research shows that you will still be boosting your immunity and mood even with some light walking. Consider this to be just one more reason to hit the trails! Yes, really. A massage feels great… so great, in fact, that it helps to boost serotonin levels by 28%! While helping to boost serotonin, research has also shown that a relaxing massage will increase dopamine production by 31%, while also decreasing cortisol (the stress hormone) by 31%. This is further evidence of the healing power found in using massage therapy as a well proven mind/body therapy technique. Adding fermented food and drinks in our diet assists our body’s ability to manufacture essential B vitamins, which play a critical role in brain function and they also help to speed up serotonin production. Additionally, fermented foods ensure a healthy gut while assisting with digestion and assimilation of the essential nutrients that our bodies need to create serotonin, such as B vitamins, omega-3 fatty acids, and various strains of probiotics. As 90% of our serotonin production actually happens in our gut, keeping our gut happy is an integral piece to making sure that we avoid dipping into potentially inadequate serotonin levels. Animal protein is a great source of tryptophan, an amino acid that is converted into the neurotransmitter serotonin. Whether it’s from eggs, turkey, chicken, beef or lamb – all of these animal protein sources provide the important nutrient, tryptophan. Unless dietary restrictions limit the amount of animal protein you can consume, make sure that you are including a consistent amount in your diet so that you can reap the related mood-boosting benefits. Stick with me on this one, because there’s a very distinct reason for including carbohydrates in your well-balanced diet if you’re focused on boosting serotonin levels, even if you usually choose to limit carbs in your daily diet. Carbs spike insulin, which pulls amino acids out of our blood and into our cells. However, tryptophan is not a part of this process as it cannot be accessed by insulin. Thus, when the remaining amino acids start being converted into neurotransmitters in our bloodstream, tryptophan will be the dominant amino acid to be converted. And since tryptophan is converted into serotonin, this process ultimately increases serotonin. While I don’t suggest eating a diet completely consisting of carbs, if you’re trying to boost serotonin levels, including high quality, slow burning carbs such as starchy vegetables (sweet potatoes, yams, winter squash, plantains, yucca) and/or whole, non-gluten grains (quinoa, buckwheat, millet, gf oats, rice) might be a good route to try. Vitamin B6 regulates serotonin synthesis. This vitamin helps to convert tryptophan into serotonin in your brain. Focusing on B6-rich foods – such as spinach, celery, and fish – will help to increase the speed and amount of serotonin production in your brain. You can also supplement with Vitamin B6 by taking 1 capsule daily of Designs For Health P-5-P (the active form of B6). Vitamin D activates the genes in your body that are responsible for releasing neurotransmitters, including serotonin. Therefore, increasing your vitamin D intake will increase the production and release of serotonin. Focus on getting at least 15-20 minutes of unprotected sun each day on your bare skin, as well as incorporating foods high in vitamin D into your diet, such as egg yolks, seafood, liver, and grass fed dairy products to increase the amount of vitamin D you receive on a daily basis. You can also supplement with Vitamin D by taking 1 capsule daily of Designs For Health Vitamin D Supreme (be sure to always take with a healthy fat source to improve absorption). Sometimes, a small craving for sugar is actually your body’s way of telling you that you are low in serotonin. This is because sugar helps to spike insulin, which drives tryptophan to your brain, ultimately converting the amino acid into serotonin. However, if you are consistently caving to these cravings, it can lead to an addiction to sugar, because your body gets used to feeding serotonin production with sugar spikes instead of in healthy, productive ways. Instead of giving in to a sugar craving immediately, try to decrease or eliminate your dependency on sugar. For example, when you find yourself craving something sweet, try one of the other tips on this list first to see if that quells your craving before diving into the cupcake. While it’s true that having enough serotonin impacts the amount and quality of your sleep, the opposite effect has been found to be true, as well. Lack of sleep negatively impacts the neural signals our brain sends throughout the body, including how our bodies respond to serotonin. Specifically, sleep deprivation has been shown to desensitize our body’s serotonin pathways. This means that consistently getting a good night’s sleep is key to maintaining healthy levels of serotonin production over time. I typically suggest trying to sleep in a completely dark room for 7-9 hours per night with no ambient light exposure at least 90 minutes prior to bedtime whenever possible. Have you tried any of these tips for increasing serotonin naturally in your body? Spread some serotonin lovin’! Sharing is caring, and I bet you have some friends who would love to read this too :). Looking to have a more in-depth conversation about increasing serotonin levels naturally to optimize your hormonal health? Schedule a consultation with me!